The image I posted gives you general guidelines and sometimes it depends on the oil and how sensitive your skin is. If you have very sensitive skin then you want to dilute more heavily (same with young children). You also want to dilute heavily if you are using a hot oil, such as clove or cinnamon. My skin is not very sensitive so there are some oils that I can use neat or just 1:1 ratio with carrier oil. 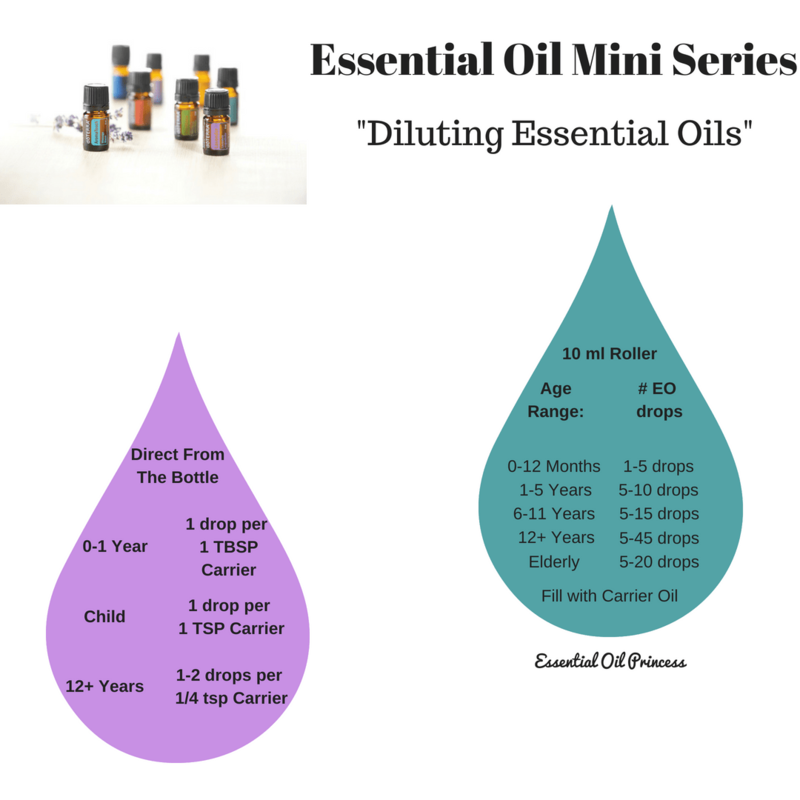 Which carrier oils to use? There are a few different options to choose from but you can choose from fractionated coconut oil, jojoba oil, almond oil, avocado oil. You can use the oils and dilute directly from the bottle or you can make up roller bottles (which is helpful if you are going to use the oil frequently).